The Outer Robe. The bottom of which should shimmer and have white highlights. 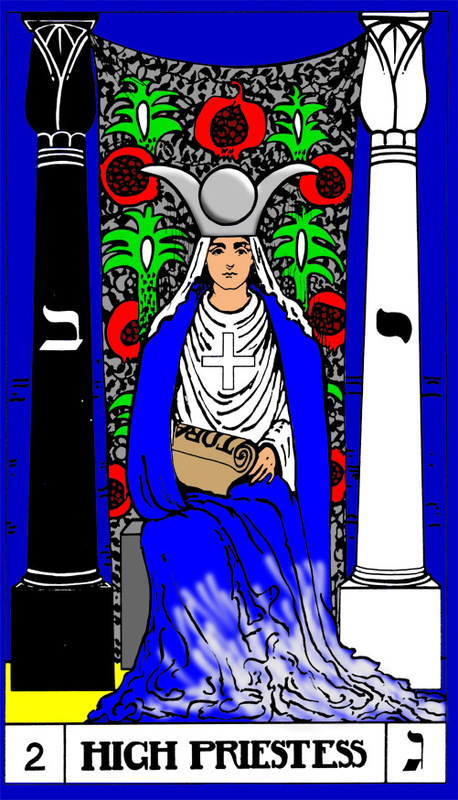 This is the robe turning into water as it feeds all of the other water in the Tarot keys. The Pomegranates colouring the inner seeds a darker red than the outer peel.